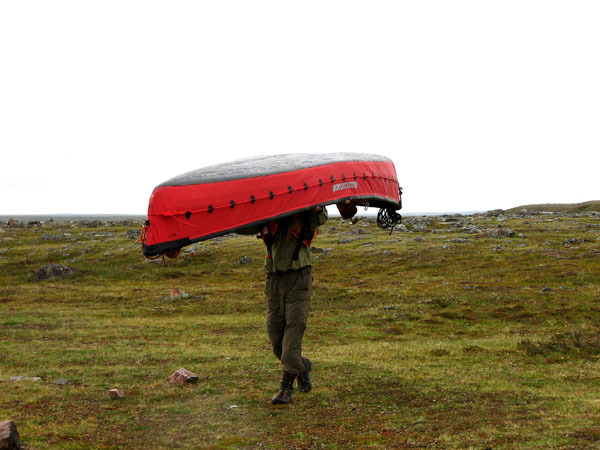 Foldable canoes to get you into those remote areas where you can get in any other way. Perfect for the Arctic and those rivers across the ocean. ...in 40 minutes (with practice), first timers usually get it together in 90 minutes or less. 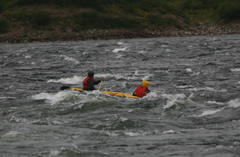 After that it becomes easier and easier, just like paddling! PakCanoe 170 is the wilderness work horse. 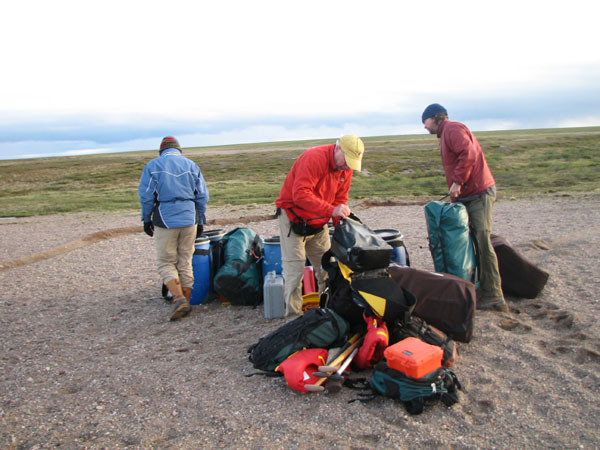 It will carry enough gear for a full scale expedition and is the best alternative in shallow water situations. PakCanoe 165 is a smaller wilderness tripper. 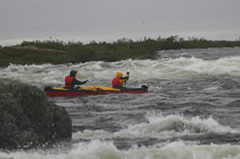 It works well for two moderate size paddlers and gear for 2 or 3 weeks. The 165 is narrower than the 170 and makes a nice expedition solo. Wider cross ribs can be installed for greater stability. 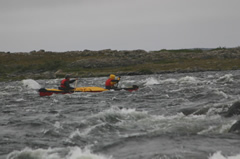 PakCanoe 160 is the best all-round canoe. It can carry two people with gear for 2 or 3 weeks on a wilderness river and is a comfortable canoe for a day trip on a lake or whitewater river. PakCanoe 150 is best if you like to paddle solo but want to have capacity for two people and camping gear for a week. 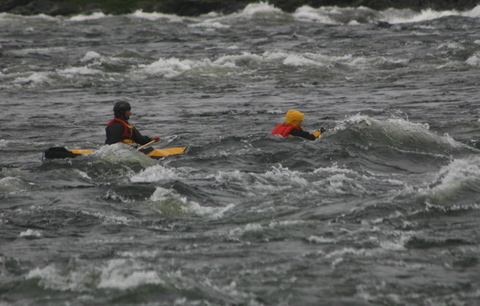 It has good speed and tracks well on flatwater, yet performs well on Class III whitewater. 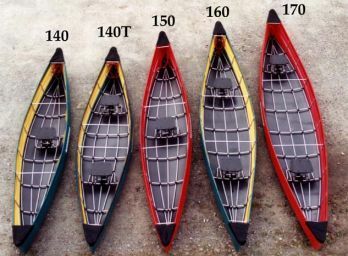 PakCanoe 150T is identical to the 150 with the exception of 5 cross ribs that add 3" of beam. 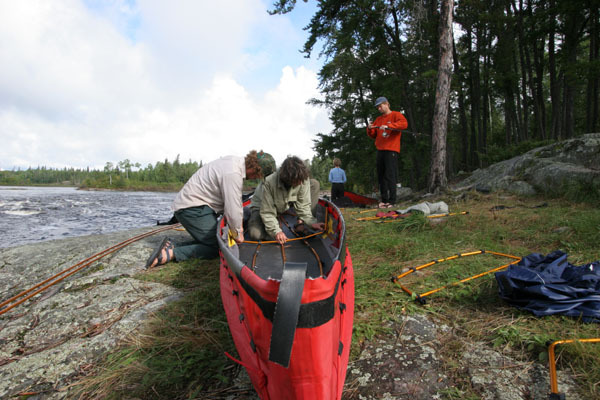 The 150T is a stable canoe for family use, fishing, and up to a week of backcountry camping. 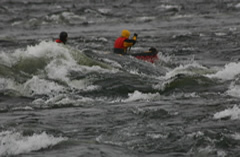 Like the 150, the 150T is excellent on whitewater. 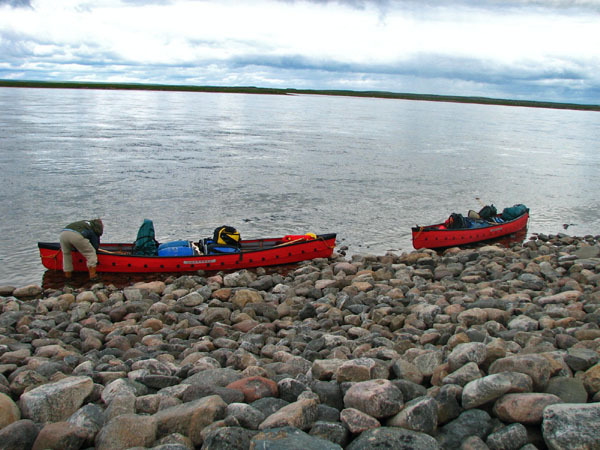 PakCanoe 140 is an excellent all-round solo canoe with the capacity and maneuverability to carry gear for 2 or 3 weeks on a wilderness river, and speed and tracking to make a day trip closer to home an enjoyable experience. Spray Covers, Keel strips, knee pads, bench type canoe seat, seat pads, repair kits, portage yokes, rowing rigs, motor mounts and conversion kits.